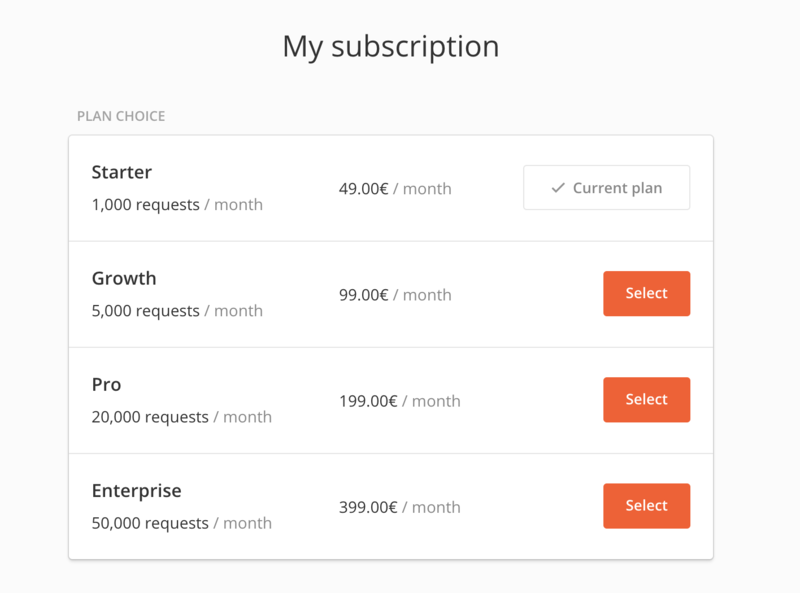 You are free to upgrade or downgrade your subscription at any time based on your needs. 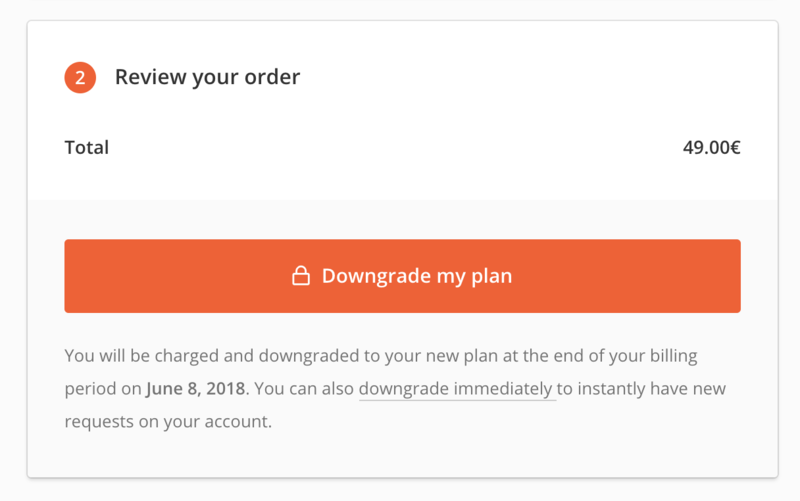 immediate downgrade: you will be charged the full cost of the lower plan selected and lose the requests on your current plan. 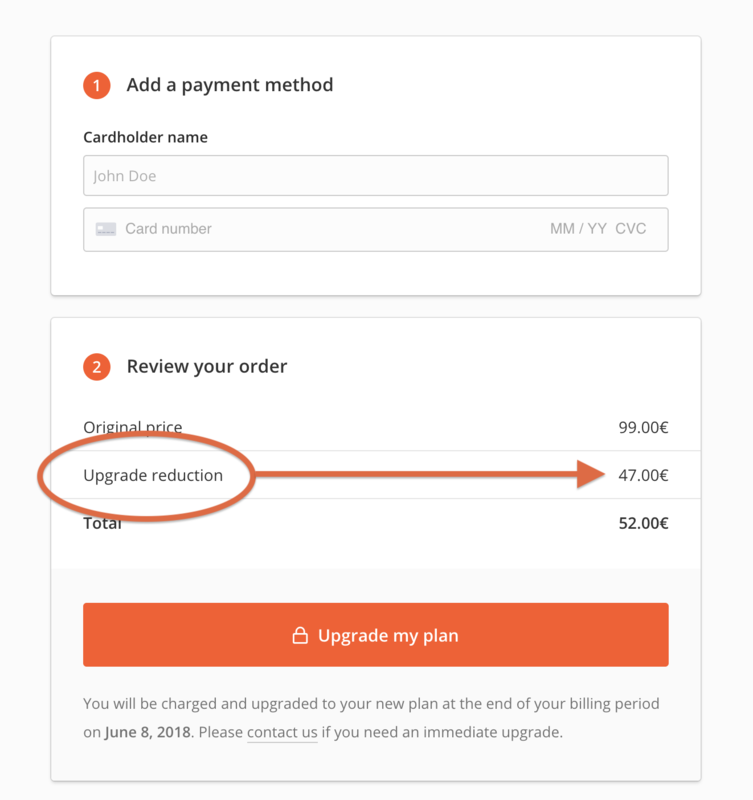 scheduled downgrade: you will be downgraded to a lower plan at the end of your current billing period so you can still use the requests on your current plan.